Standard in the base model. 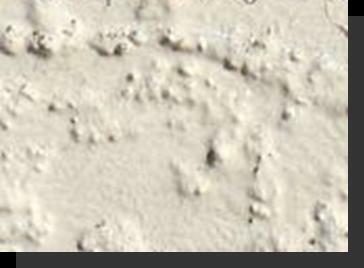 Cement or clay based stucco may be tinted to any desired color. Tile or soapstone accents may embedded. 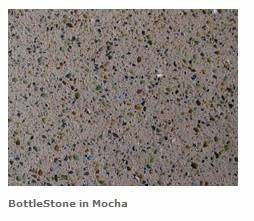 BottleStone's natural finish is a smooth, slightly polished or honed appearance. There are no chunks of glass, but rather a smooth consistent appearance as the glass and other ceramic binding elements melt together. It has a warm, organic, stone-like feel to the hand. BottleStone is a beautiful, new green surface material made of 80% post-consumer recycled glass. BottleStone provides a green alternative to stone slabs offering the same warm aesthetics of natural stone materials. Claymonde is offered in 8 standard glaze colors. Other colors are available from this futuristic lightweight, straight-edge wall tile. Claymonde glazes are designed to be glossy and to have a contemporary look. Each piece of Claymonde is glazed individually by hand and shade variation may occur. Because of the nature of natural glazes and high firing temperatures, some speckles, small dots and dimples may appear on the glaze surface. The high-fired glazes are an important aspect of Claymonde. Since the tiles are so big, it is important that the handmade look of the glaze impart warmth and character to the tile. The beauty of soapstone will enhance your life with its natural and unexpected patterns. Its smooth, unique texture invites the hand. Its natural luster radiates a refined elegance to the eye. 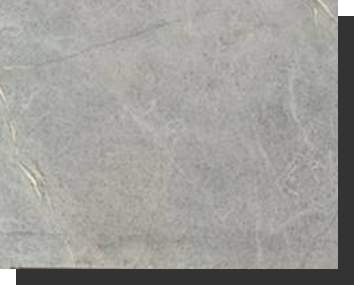 Soapstone is natural refractory stone, which handles heat well and is easily maintained.